Here is another “split test” that resulted in much higher conversions on school web pages. This post expands on my previous articles which identify subtle things you can change on your web pages to dramatically boost conversion results. If you’re not familiar with the term “split test”, it simply involves testing two different web pages against your website visitors to see if one of those versions improves conversion. You typically duplicate the “control page” and only change one element at a time to see if that change makes a difference. 50% of visitors see version A. The other 50% see version B. Then you need a conversion goal like a link click, image click, fill in a form etc. to measure which version produced better results. I previous examples I have tested removing the header banner from a school web page to see if that resulted in more people filling out a web form included on the page. In this next example, I tested removing the sidebar menu to see if that would make any significant change in conversions. This test was conducted on a general primary school information page and the conversion element was a link click. 106.3% improvement by removing the sidebar menu. So, as you can see from these results, “Less can be More”. This highlights the importance of testing your website pages to find out how you could potentially boost conversions and either receive more engagement from your site visitors, or more direct enrolments. If you are interested in running a split test like this on your website, please email me at mike@onlinemarketingforschools.com for more information. 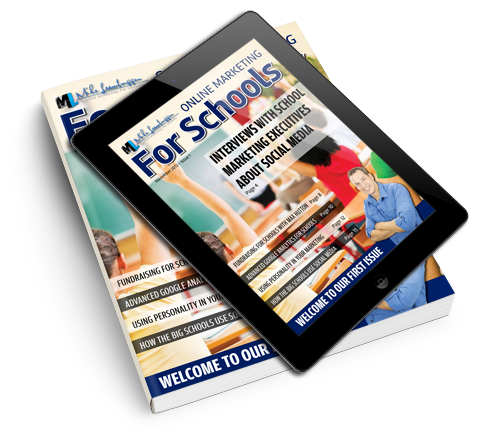 I am looking for a school that receives over 15,000 visitors per month to their website. Our new “Enrolment Boosting Execution Plan” includes proven-to-convert landing pages, email sequences, and online advertising training that will skyrocket your online enrolment enquiries. See what all the fuss is about.